Home > Information > What is pixel pitch? Pixel pitch is the measurement of the smallest bit of data in a video image. For LED display, the pixel pitch means the distance between two contiguous LEDs measured in millimeter. The smaller the size of the pixel pitch, the higher density of LEDs, the greater the resolution. We could produce the P1.27mm indoor LED screen and P2.6mm outdoor LED screen. 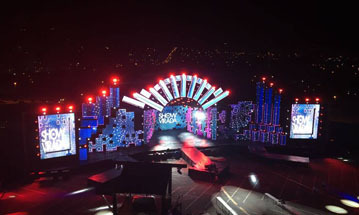 And P2.6mm is the smallest outdoor LED screen in the world.